The most recent statistics indicate Canadians owe an astonishing $1.8 trillion in debt, including mortgages. For each dollar we earn, we owe $ 1.64. It is also estimated we save less than 5% of our income. I personally find these numbers both staggering and scary. A lot of Canadians rely too much on their house as their main asset. Houses may not appreciate as much, and may not sell at the listed price. In North America, people tend to rationalize and justify borrowing by splitting it in “good debt” and “bad debt”. A house, a car, a student loan are considered “good debt” since they bring assets or a higher earning potential. On the other hand, gadgets or vacation charged to a credit card are considered “bad debt” since it is perceived it does not make any real difference in our lives. Unfortunately, it is not that simple. A car is a depreciating asset. It looses half of its value within 5 years. If the field of your degree or diploma does not have a high employment prospect, you won’t make more money. As shocking as it may sounds to you, you do not have to get into debt for a car or a degree. Granted, for a house, you will most likely have to go down the mortgage road. But because you qualify for a 400K mortgage does not mean you can afford a 400K property. You also need to look at the amount of interests you will pay over the course of your mortgage. Instead of talking about “good debt” and “bad debt”, we should talk about “manageable debt”. A manageable debt is one that can be paid within 5 years -excluding mortgage-, that has a reasonable interest rate and that does not impede the ability to save for emergencies or retirement. I would also add, that, should you loose your job, you should still be able to make the monthly payment. The purpose of the debt then becomes totally irrelevant. 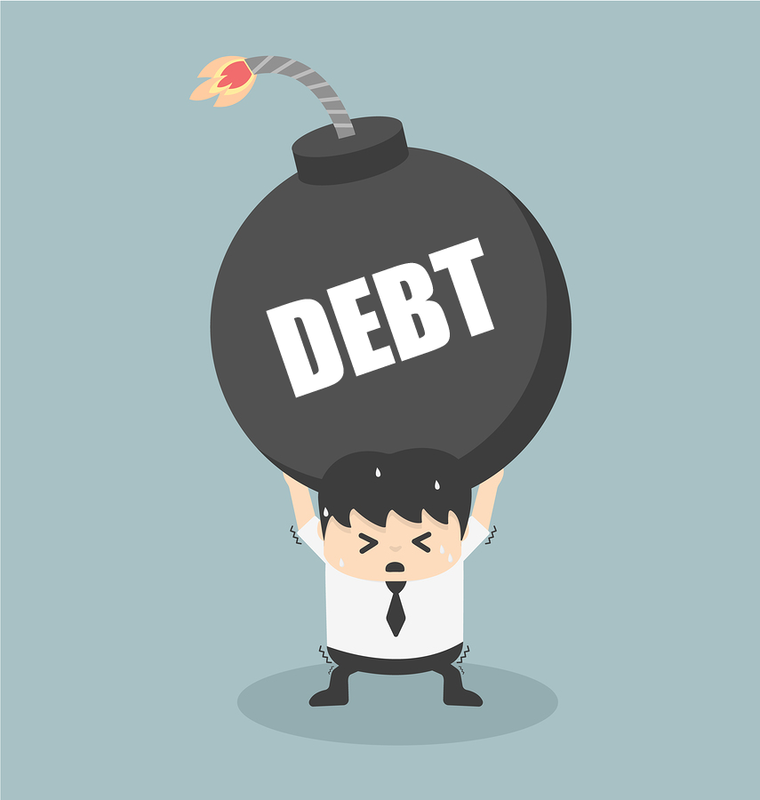 If your debt does not fit the above definition, then it is a ticking time-bomb! In the end, debt will always be debt and you will always have to pay it off, no matter what. It will always cost you money. There is no such thing as “good debt” or “bad debt”, it is only debt!